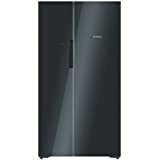 Storage space is one of the concerns that every household would think about. 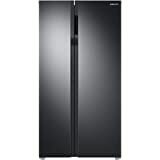 With food storage being the need of the hour, refrigerators become an essential appliance in every home. 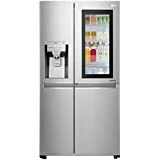 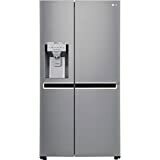 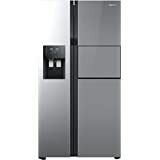 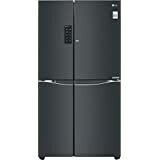 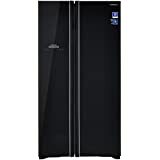 Available in different capacities, sizes and types, from small portable ones to large side-by-side door models, you can choose from a great selection of brands and refrigerator types at Amazon India. 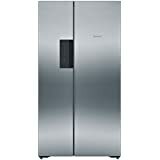 Larger families tend to store leftovers and what’s a better companion for your kitchen than a side-by-side refrigerator. 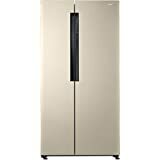 These models offer convenient access to both the refrigerator and freezer and makes efficient use of door space for those who have larger food storage requirements. 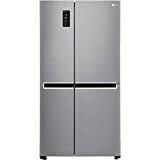 With capacities that range from 560 litres to 840 litres, these side-by-side refrigerators are available from the best electronic brands such as Samsung, Haier, Godrej and more. 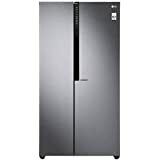 Choose the most convenient and best rated refrigerators Haier HRF 618 SS , LG 581L GC-B207GPQV , Godrej RS EON 603 SM amongst other models. 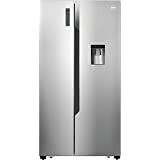 Choose amongst top models from top brands at Amazon India and enjoy a great shopping experience as you can filter your refrigerator requirement as per rating, capacity, price, brand and more to make sure you can choose the right one for your home.